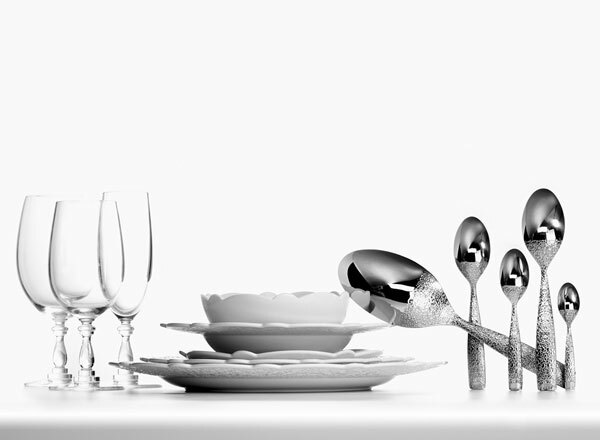 'Dressed' table set designed by Marcel Wanders for Alessi is simply stunning. 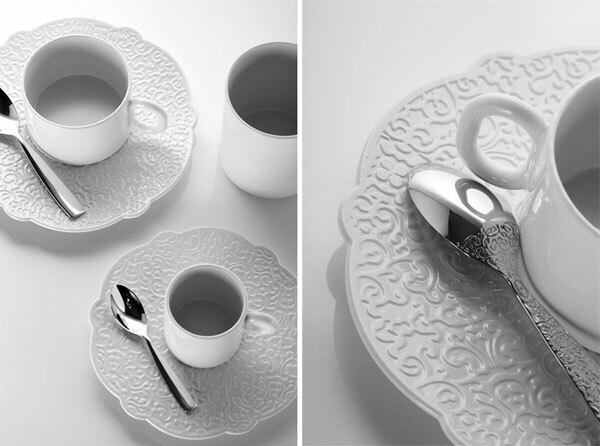 Meant for special occasions, the tableware mixes modern minimalism and traditional luxury with a high-class look thanks to its delicate lace-like ornaments and stylish flowery edges. 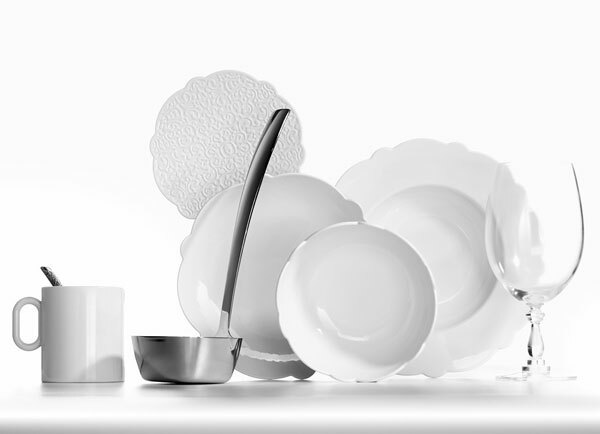 With a similar design, the cutlery has an incontestable refined quality reminding us of Baroque age. 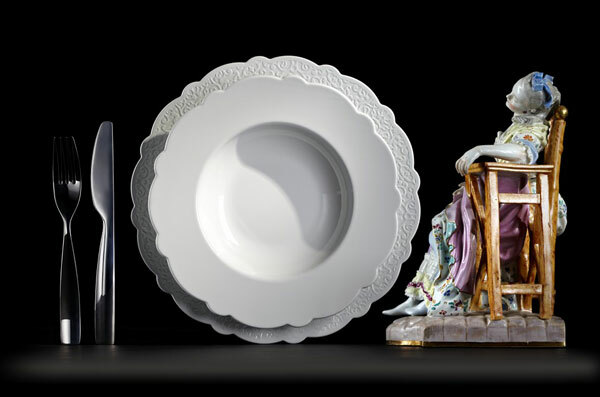 ‘Dressed’ collection includes dinnerware, flatware and glassware (the first two made out of porcelain and stainless steel) at a price that makes the set suitable for special occasions ($36 per dinner plate). Constantly exploring the areas between traditional and modern design, Marcel Wanders is famous for his visionary talent and innovative ideas. Some of his designs have been selected for important exhibitions throughout the world including the Museum of Modern Art in New York and San Francisco, the V&A Museum in London and the Stedelijk Museum in Amsterdam.